Automobile Liability coverages are available in Combined Single Limits (CSL), beginning at 35,000. Increased limits are available for 50,000, 100,000, 300,000, 500,000, 750,000 1,000,000. Federal, State or Municipal laws may require your business to have higher limits and we could discuss these in detail. Higher limits like 1,000,000 & $5,000,000 CSL for buses are be available however, higher limits may require evidence that the limits are required. Business Owners Request A Quote, click here. Commercial auto insurance canceled? What is a business owner to do for insurance? Try getting some help and a free quote. NJCAIP certified producers available to quote your business. Use our NJCAIP State Certified Producers contact form to get quick no obligation help with NJ Commercial Auto for your NJ Trucking, Busing, Hazmat Haulers auto liability. No NJCAIP Certified Producer should bind a risk for NJCAIP or submit an application for insurance if a known current valid NJ Commercial Auto Insurance voluntary market company offers a policy to the applicant. A company is now available in New Jersey for prime commercial truck insurance, non emergency medical transport and many other classes of businesses. •Auto liability insurance: Covers your liability risks in the event that you or one of your employed drivers causes an accident. Your commercial auto liability will include bodily injury liability to cover the costs of injuries and medical expenses for the injured party, and property damage liability to cover the costs of property damage in an accident. Your commercial auto liability insurance will typically also cover the costs of legal defense, whether or not your company is found to be at fault in an accident. •Optional physical damage coverage (Restrictions Apply): Covers the costs of damage to your vehicle from an accident or other incident. This coverage includes both collision coverage to pay for damage from a crash as well as comprehensive coverage to pay for damage from theft, vandalism and other than collision causes. What is NJ CAIP – NJ Commercial Auto Insurance Plan? NJCAIP is the state of New Jersey mechanism for eligible Commercially Registered Vehicles in the state of New Jersey that are not insurable immediately in the NJ Voluntary or NJ Preferred Commercial Auto Insurance Markets. Established January 1, 1984 under N.J.S.A. 17:29D-1 and implemented by N.J.A.C. 11:3-1.2, to provide coverage for a commercial automobile risks that are unable to obtain coverage in the NJ commercial auto insurance voluntary market. NJ CAIP Commercial Rates are set and approved by the state of New Jersey department of banking and insurance, and are administered by a national non profit organization. This website is for obtaining CONSUMER quotes only. 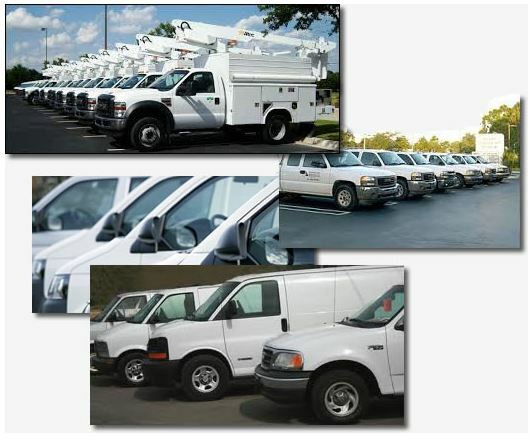 All commercial motor vehicles registered or principally garaged in the state of New Jersey are mandated by NJ state law to maintain automobile liability insurance, N.J.S.A. 39:6B et seq. Commercial automobile insurance coverage may be obtained on a voluntary basis or through a licensed NJCAIP Certified producer. State of New Jersey Commercial automobile voluntary submissions are subject to the Deregulation Act of 1982, N.J.S.A. 17:29AA-1 et seq. Rate/rule submissions are subject to N.J.S.A. 17:29AA-5 and N.J.A.C. 11:13-8.1, Use and File within 30 days. Form submissions are subject to N.J.S.A. 17:29AA-6, File and Use 30 days prior to use. View points that will affect your rate. Starting a trucking business. Buying Physical Damage Coverage. Possible New Jersey business types that we have NJCAIP coverage’s readily available, but does not list all of them, just the most requested. Trucking For Hire- Charter Buses – Car Carriers – Fuel Oil Haulers Gasoline, Diesel & Airplane Fuel Haulers -Ag Haulers (including livestock) – LPG, Butane & Propane Haulers Bulk or Bottled – Dumping Operations – Contractors – Tow Trucks – Caterers – Cement Mixers – Concrete Pumper Trucks – Couriers – Custom Harvesters • Farm to Market Trucking – Farmers – Food Delivery – Grain Haulers – House Movers – Lawn & Tree Service – Logging – Mobile Concessions – Mobile Equipment – Mobile Home Toters – Household Moving Companies – Pulpwood Haulers – Salvage Haulers – Specialized Delivery • Snow Plows – Truckers Contingent Liability (Bobtail or Deadhead) – Waste Oil Haulers – Wholesalers & Manufacturers. NJ Commercial Insurance Coverage’s not available in NJCAIP will have to be placed elsewhere. Get coverage for your different types of commercially registered vehicles. Help and rate quote are free and no obligation. ONLY A NJCAIP INSURANCE CERTIFIED PRODUCER AGENT MAY BIND COVERAGE. THE PLAN HAS OVER 100 RULES THAT NEED TO BE FOLLOWED FOR A SUBMITTED APPLICATION TO BE APPROVED. THIS IS NOT AUTHORIZED BY,AFFILIATED WITH, NOR IN ANY WAY RELATED T0 AIPS0 ANY STATE INSURANCE AUTH0RITY,NOR ANY STATE APPROVED ASSIGNED RISK AUT0M0BILE INSURANCE PLAN. CERTAIN NJCAIP POLICIES MAY BE BOUND IMMEDIATELY AND PROCESSED SUBJECT TO NORMAL UNDERWRITING PROCEDURES AS SET FORTH BY THE NJCAIP PLAN MANUAL. POLICIES ARE ISSUED BY COMMERCIAL NJCAIP-LIMITED ASSIGNMENT DISTRIBUTION INSURANCE COMPANIES IN NEW JERSEY (LADS). ONLY A NJCAIP INSURANCE CERTIFIED PRODUCER AGENT MAY BIND COVERAGE. 202 S. Black horse Pike, STE 1, Blackwood, NJ 08012.